These 10 versatile pieces make great building blocks for a cozy and festive seasonal look. 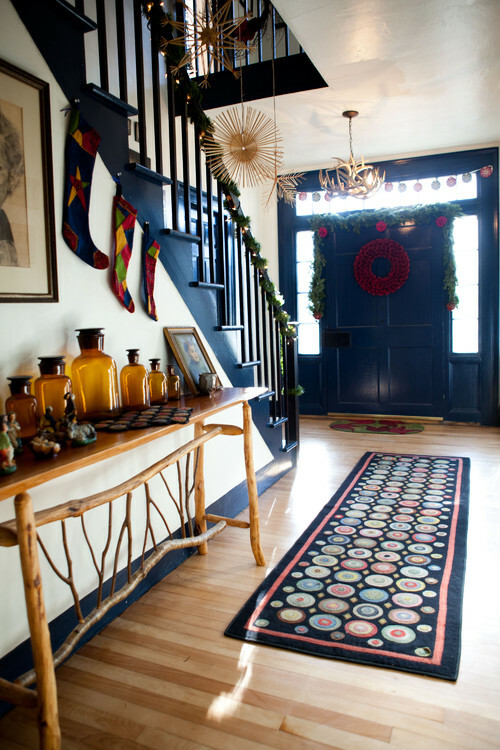 Tweaking your decor each season can be a great way to keep your home feeling current and satisfy your urge to nest, without blowing your budget on big-ticket items. The problem? 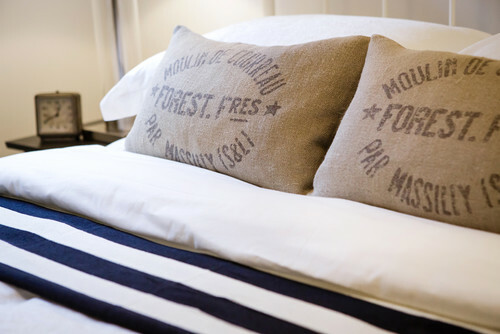 Each year retailers roll out tons of new seasonally inspired decor that begs to be brought home — and loading up on too much season-specific stuff is a sure way to blow your budget and overstuff your storage. To strike the right balance, aim to build up an arsenal of go-to pieces that feel special yet can work in several different ways throughout the year, then use free and found natural objects, and inexpensive seasonal produce, to round out the different looks. The following 10 versatile pieces make great building blocks for a cozy and festive seasonal look. 1. Shiny gold stools. They can be used as seats or side tables; they are small, portable and easily stashed; and they fancy up any room. Gold looks especially festive, feels rich in fall and winter and has a sunshiny quality that makes it work in summer to boot — what more could you ask for? 2. Amber glass vessels. Vintage or new glass bottles with an amber hue look beautiful in a sunny window, lined up on a mantel or perched on a console. Clear apothecary jars are useful to have on hand too, but the great thing about colored glass containers is that they look beautiful even when empty. Of course, they look splendid filled with fall leaves or flowers, too. 3. 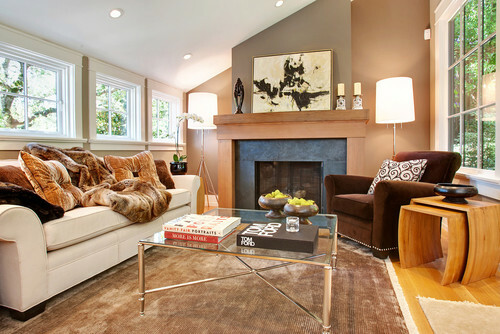 A faux-fur throw. It’s warm and cozy, and makes any seat or bed you toss it on look incredibly luxurious. Spend enough to get a faux fur that feels really plush and has a natural-looking color; cheaper versions will fall apart over time, but a good one will hold up for many years. 4. Colorful accent dishes. 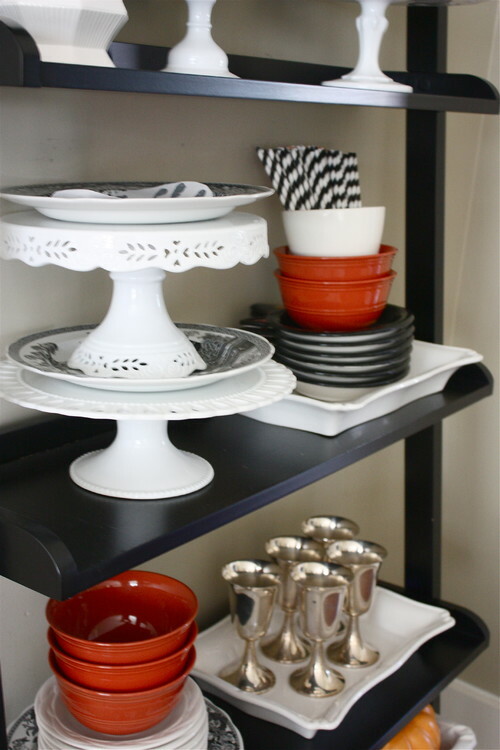 Build a stable of solid-hued workhorse dishes in white, plus some in one or two accent colors so you can change things up. A good rule of thumb is to stick with white dinner plates but bring in fun colors and patterns with the serving pieces, bowls and salad and dessert plates. Orange is a good hue for all of fall, from Halloween to Thanksgiving, while mint green and yellow work from spring through summer. Metallics work year-round but look especially festive around the holidays. 5. Gleaming accessories. Gold and silver objects are a natural choice (see the shiny gold stools above), but the shades in between are even more versatile — think shimmering platinum, bronze and rose gold. These subtly shimmery hues fit right in with fall leaves and acorns, look glamorous around the holidays and echo the sheen of seashells in summer. Try them with a cluster of vases, candlesticks, bowls or trays. 6. Fresh artwork. 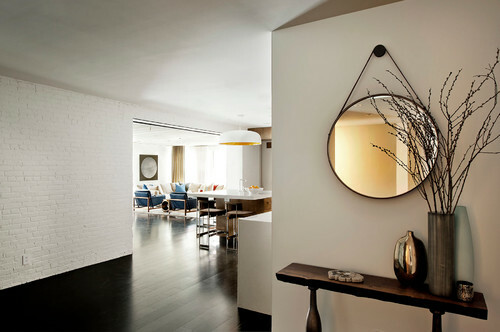 Your home has a finite number of walls, but does that mean you must limit yourself to the same artwork year-round? No way! Pick up fresh artwork as you find it, without worrying if you currently have a place to hang it. At the beginning of each new season, you can simply swap out art on a few walls for a completely different look. 7. A tall container for branches. Having a really tall cylinder vase on hand is essential for filling with colorful foliage in the fall and budding branches in the spring, You may want to pick up a few of these — a shorter version, like the one shown here, is perfect for a tabletop; a taller vessel can be placed on the floor. 8. Fluffy towels. 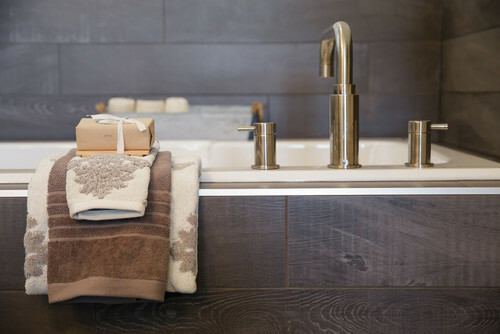 A set of fresh bath towels in a seasonal palette you love is a relatively inexpensive treat, and will make a huge difference in the way your bathroom looks and feels. 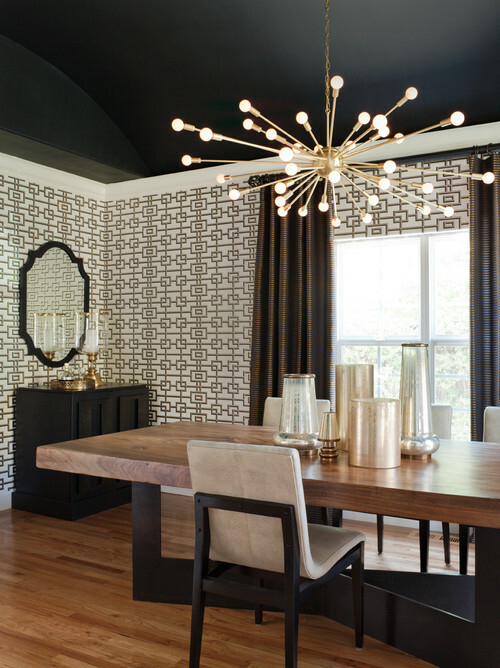 Try mixing and matching a solid hue with a fun pattern, as shown here. Bonus: Rotating at least some of your bath and hand towels seasonally can help reduce wear, so they’ll stay fluffy longer. Golden yellow: can be mixed with seasonal oranges and reds in the fall, but also feels fresh in spring and summer. 10. Small rugs. 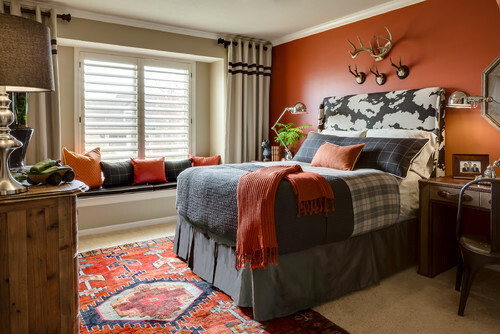 If you have basic natural-fiber rugs or neutral carpeting, one great way to create a new look in the fall is by layering your rugs. A small Oriental rug or Moroccan-style wool rug instantly makes any space feel warmer and cozier, and goes with practically anything. Keep a few rolled up in the closet and bring them out when your feet feel like they could use a little extra TLC. 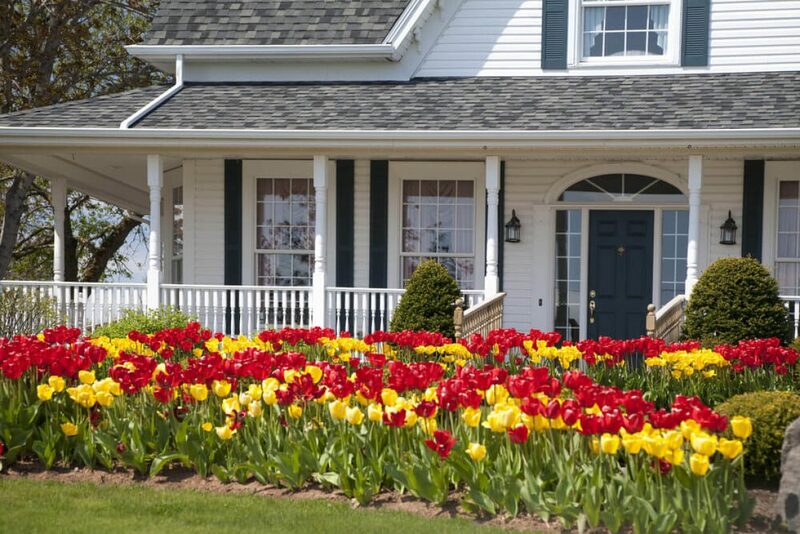 Tell us: What is your favorite way to update your home for the season?